“With the new 2014 Jeep® Grand Cherokee, we have taken the industry’s most highly acclaimed SUV and elevated it to an even higher level.” – Mike Manley, President and CEO – Jeep Brand, Chrysler Group LLC. 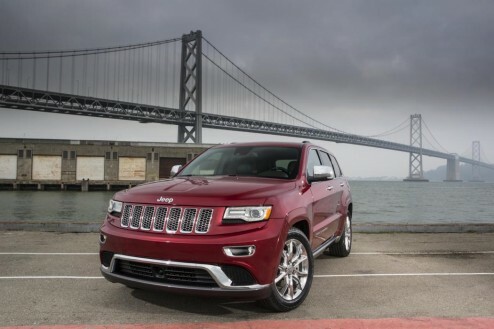 Introducing the premium SUV, redefined: the 2014 Jeep Grand Cherokee. "One of the most noteworthy and, to be sure, talked-about additions for 2014 is the new, clean, 3.0-liter EcoDiesel V-6 engine that delivers best-in-class 30 miles per gallon and a driving range of more than 730 miles. All this while featuring best-in-class towing of 7,400 pounds. Plus, the new eight-speed transmission increases fuel efficiency across all powertrains while improving Grand Cherokee’s off-road capability and performance. In the weeks and months ahead, we’ll delve even deeper into the new 2014 Jeep Grand Cherokee’s powertrain options, its Go Anywhere capability, premium-crafted design, advanced technology and safety features, and improved quality."